The post Dug Up at Dogster: September 2018 Dog Events by Melissa L. Kauffman appeared first on Dogster. Copying over entire articles infringes on copyright laws. You may not be aware of it, but all of these articles were assigned, contracted and paid for, so they aren’t considered public domain. However, we appreciate that you like the article and would love it if you continued sharing just the first paragraph of an article, then linking out to the rest of the piece on Dogster.com. Bring on autumn with its colorful leaves, cooler temps and fun fall festivals. It’s the perfect time to take your dog to any one of these September 2018 dog events and happenings. If you’ve got a dog event for September or any time in the future, please contact us and we’ll add it to our dog events calendar. 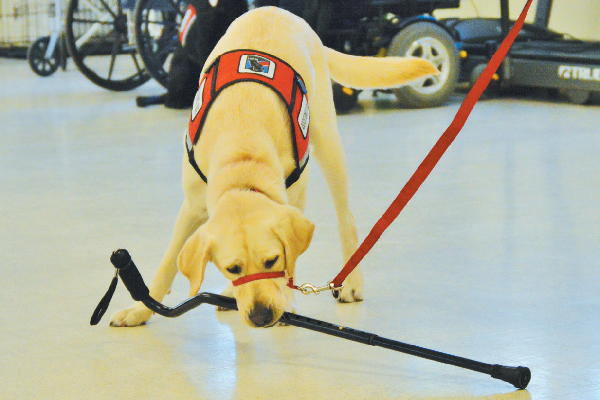 September is National Service Dog Month. Photography ©krugli | Getty Images. Find fascinating exhibits at the American Kennel Club Museum of the Dog — one of the largest repositories of canine art in the world. 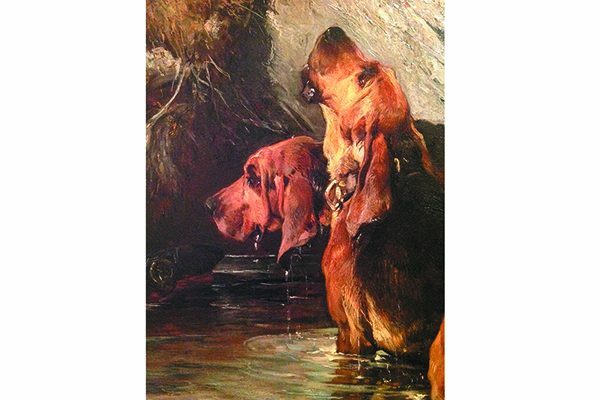 This month, check out the Howling Hounds exhibit — fine art pieces that pay tribute to our beloved hound dogs — located in the Main Hall Gallery of the museum. While there, peruse the museum’s first-ever dog-and-cat exhibit, Fr-enemies. Both exhibits end September 30th. More at museumofthedog.org. Share happy hour with your best furry friend at the Anaheim GardenWalk, an “entertainment” destination close steps away from Southern California’s Disneyland Resort and Anaheim Convention Center. The first Paws on the Walk Happy Hour program runs from 4 to 7 p.m. on the upper level patio at the House of Blues Restaurant & Bar and features a special event-only Happy Hour menu. During September’s inaugural Paws on the Walk event, there’ll be a special photo opportunity for you and your furry pal that includes props and a VIP artificial turf “green carpet” for dogs to walk on while a photographer snaps complimentary keepsake pics. Humans will also be treated to henna tattoos. WAGS Pet Adoption and Anaheim Feed & Pet Supply will be on hand, too. More events to be announced, like a tour of the other GardenWalk restaurants and bars for future Paws on the Walk Gatherings. For more info on this and future events, go to the events page at anaheimgardenwalk.com. Woof it up during this full day of summer fun! Enjoy contests, demonstrations, shopping and food for both humans and canines. The annual free event not only raises funds for the Somerville Foundation for Animals’ pet food bank, it purchases one K9 protective vest for local K9 officers. The festival takes place rain or shine at Trum Field in Somerville, Massachusetts. Find out more at somdogfest.org. Two American favorites — baseball and dogs — come together at Comerica Park in Detroit, Michigan. Take your furry pal to watch the Detroit Tigers take on the Minnesota Twins. Game starts at 7:10 p.m. Get game and park info at tigers.com. Love dogs? Love craft projects? Then you’ll enjoy these hand-felt models, plus the sweet true-life stories and photos of the canines behind the art. 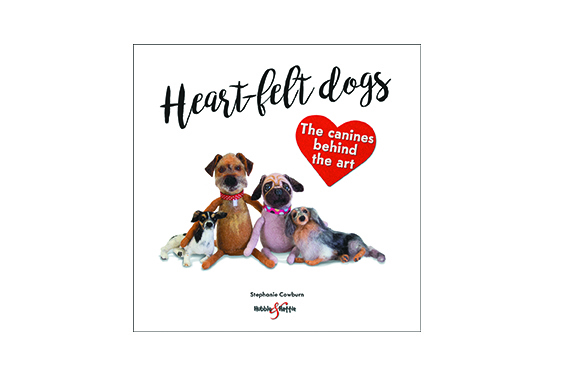 Gifted artist, teacher and dog lover Stephanie Cowburn creates lifelike representations that will amaze and inspire you. Published by Hubble and Hattie, retails for $16.99. Available at hubbleandhattie.com and Amazon.com. Thumbnail: Photography ©Leoba | Thinkstock.